The 2014 Commonwealth Games will be held in Glasgow and start on 23 July 2014. This will be the largest sports event ever held in Scotland. 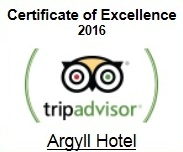 All the enumerated venues are within walking distance of Argyll Hotel. Book you room now by calling: 0141 337 3313. There is a strong demand for that period and our advice is to book your room well in advance. The SECC will host judo, boxing, wrestling. It will also be the media press centre as its position is very convenient for BBC Scotland and STV. Kelvingrove Park is situated just across Argyll Hotel and it will host the bowls competition. The Hydro will be used for gymnastics and netball ad the Clyde Auditorium for weightlifting. Table tennis and squash will be played at Scotstoun Leisure Centre.